Why 100 years ago cancer did almost not exist? Why in parallel of development of innovative technologies still the frequency of cancer cases are increasing? 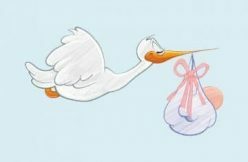 Many people could say – it is because of improved diagnostic methods. Others will say because of people awareness and early cancer detection. But many experts connect increased frequency of cancer with dramatic inclusion of processed fast foods, canned products, low quality meat and dairy, products full of chemicals, genetically modified foods, refined sugar and dangerous soda drinks into the daily standard diet. 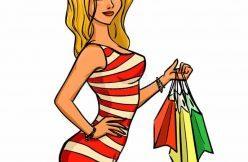 Market is full of highly processed, high-heated, low-nutrient, high-sodium, high-sugar and high-fat foods packed with calories and devoid of true life force. Convenience food products, microwave meals, packaged snacks, canned products and fast food dominate in nowadays daily menu. 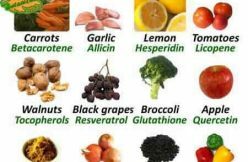 Health experts mentioned many times that these foods are not optimal if you want to be healthy and especially if you are battling cancer. We are what we eat and our body cells develop accordingly! Don’t be surprised if you develop bad diseases while consuming not healthy food. Many scientists noted correlation between foods consumed and cancer cells grow. Dr Otto Heinrich Warburg investigated the metabolism of tumors and the respiration of cells, particularly cancer cells, and in 1931 was awarded the Nobel Prize in Physiology. 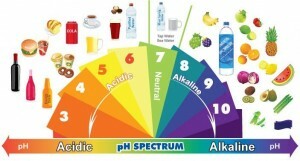 In 1939 Dr. Warburg discovered that cancer cells cannot survive in an alkaline pH. What that means for ordinary people? It means eating fresh fruits, vegetables, leafy greens, sprouted nuts, seeds and legumes, sprouted grains and other similar products is not only the smart way to receive more nutrition, but is also the way to prevent and fight cancer. Since 1939 hundreds of health experts investigated thousands of products and health conditions connected to cancer development. 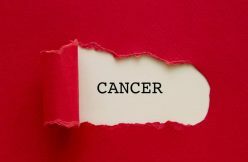 Most experts mention that diet and lifestyle choices are related to cancer. 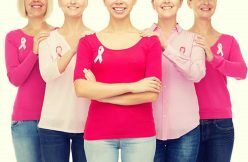 Fortunately healthy diet, natural products and healthy lifestyle can not only prevent different types of cancer but they can also help cancer clients to survive. If you want to be healthy, if you want to live long and if you wish to reduce your risks of developing cancer ever, you should pay special attention to your daily diet. Your food has huge influence at body cells (including cancer cells). 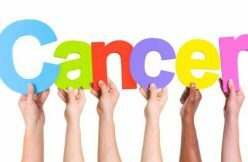 Every cancer client should start dietary changes which could increase dramatically their chances of healing and surviving from cancer (no matter what kind of medical treatment they are provided). Anticancer diet is the most important first and best defense when starting down the path of healing from cancer. 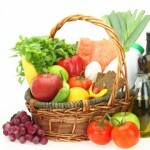 What exactly cancer clients should change in their daily diet? 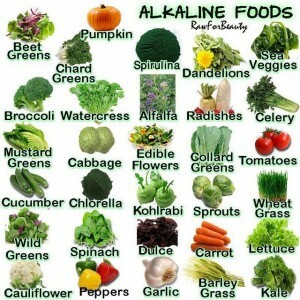 Answer is very simple – move to alkaline diet which can reduce inflammation and improve intracellular pH. 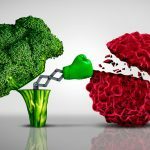 ACIDIC DIET PROVIDES PERFECT ENVIRONMENT for CANCER PROLIFERATION. 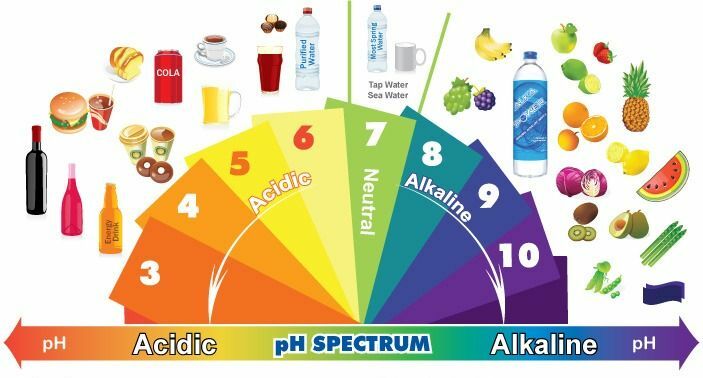 Alkaline diet can slowly improve intracellular pH over time and strengthen body defense against continuous inflammation. 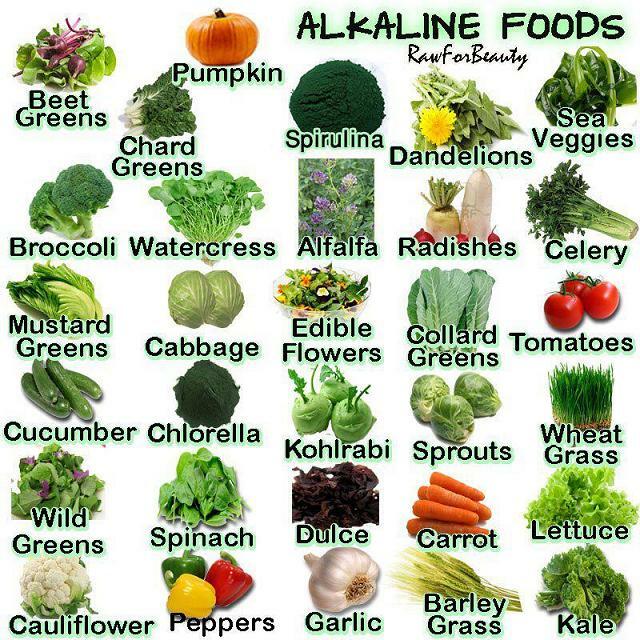 Alkaline diet includes organic leafy green vegetables, herbs and spices, root vegetables, onions, garlic, leek and chives, broccoli, cauliflower and cabbages, beans, lentils and peas and nuts and seeds, combined with a small amount (a cup or two per day) of non-gluten grains such as rice. 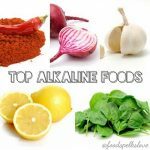 Clean natural fish, organic poultry and/or grass-fed meat (few times during week) can be considered as part of anticancer alkaline diet. Vegetables and fruits help to reduce risk of cancer; while meat, animal products and other fatty foods can increase your risks for cancer development. 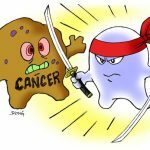 Eliminate sugar because cancer cells use more glucose (sugar) per unit of time than other cells. Eliminate dairy products because consumption of dietary fat drives production of hormones, which, in turn, promotes growth of cancer cells in hormone-sensitive organs such as the breast and prostate. Eliminate gluten because glutinous grains cause inflammation and cancer progression. Use only natural, cold-pressed olive oil, coconut oil or avocado oil because these oils are naturally anti-inflammatory, thus provide a soothing and healing benefit to inflamed and potentially cancerous cells in the body. 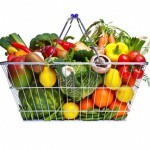 Vegetarians are at the lowest risk for cancer and have a significantly reduced risk compared to meat-eaters.